What is The DAISY Award for Extraordinary Nursing Students? The DAISY Award for Extraordinary Nursing Students™ is designed to remind students, even on the hardest days in nursing school, why they want to be a nurse. By recognizing nursing students for the above-and-beyond care and compassion shown to patients and their families we celebrate what it truly means to be a nurse. We honor the nurse-patient connection that makes all the difference to patients and their families in their healthcare experience and that makes great nurses truly great. 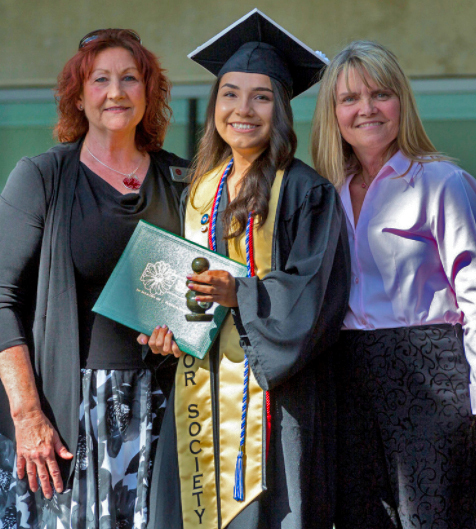 CSU Channel Islands Nursing Program is proud to be a DAISY In Training Award Partner, recognizing one of our Student Nurses with this special honor each year. Hollie-Ann is very passionate about the profession of nursing and has shown kindness and cultural congruence to the Latino and African American populations. She delivers excellent patient centered care and excels in both verbal and written communications. For her above and beyond attitude and the sheer delight she gives all of those who have the pleasure of being in her presence, we honor Brenda Valencia with the 2017 DAISY in Training Award.